ENGAGE & RESONATE IS HONORED TO ANNOUNCE THAT 2 OF OUR RECENT PROGRAMS were selected as finalists among the 619 experiential marketing projects that were submitted to the FIRST-EVER ADWEEK EXPERIENTIAL AWARDS from across the globe. Winners will be announced on April 29th in New York. See Full announcement here. Proud to be a part of this great group of sports marketing agencies! Click here to view list. Another great year for E&R. 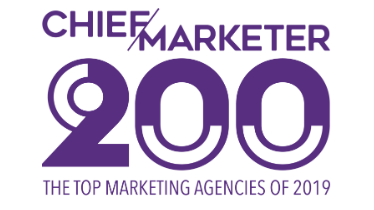 Honored to be a Chief Marketer 200 Agency!